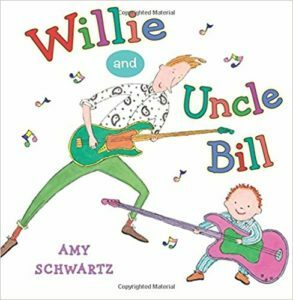 What a time Willie has when Uncle Bill sits for him: he takes him on adventures to the hairdresser, they cook icky stew, and rock out with The Purple Tomatoes. Uncle Willie, a homosexual character, is portrayed as being a very fun and normal uncle. This is a very good book for showing diverse family structures to young children. It is also a very humorous and enjoyable story.